Canopus is the Adaptive Optics bench of GeMS . Below we described the characteristics of the main component of Canopus. 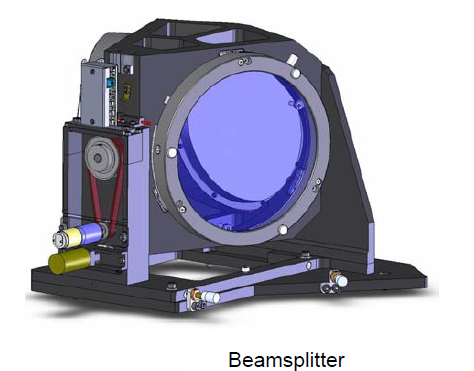 5 Laser Guide Sources: These are 0.8" sources (500um in the f/16 entrance focal plane). They can be moved following the optical axis to simulate sources from 90km to 160km. 6 Natural Guide Sources: These are 0.6" sources(300um in the f/16 entrance focal plane). 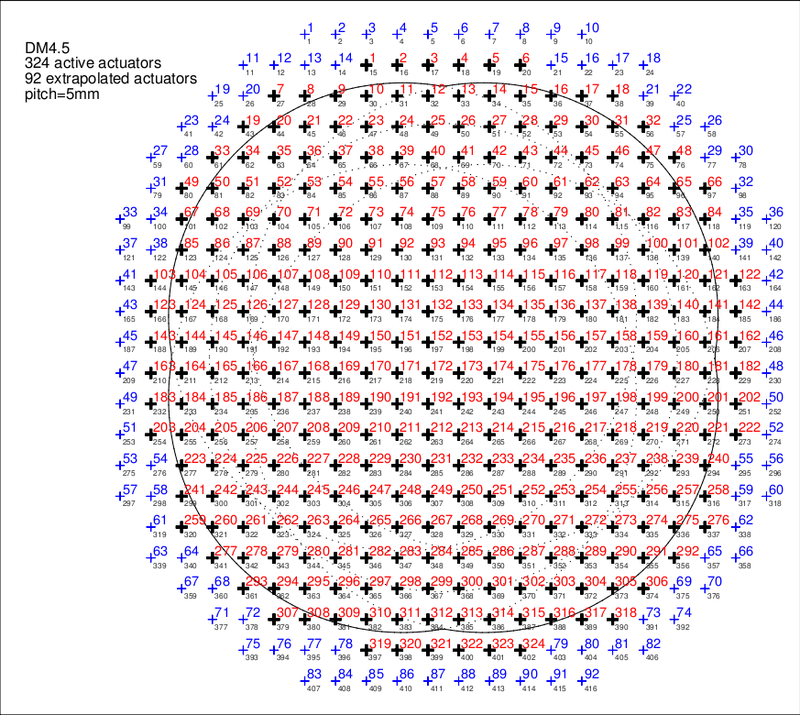 They are conjugated to infinite, and they are used to simulate NGS seen through typical seeing conditions, and also for the calibrations of the NGSWFS. 24 Natural Guide Sources: These are diffraction limited (10um in the f/16 entrance focal plane). They are conjugated to infinite and they are used for Non Common Path Abberation (NCPA) calibrations and performance evaluation. Layout notes In the layout plots above, black crosses, red numbers show valid actuators. Blue crosses, blue numbers show slave actuators. The dotted lines mark the various beams (for WFS 0 through 4). For the altitude DMs layout (DM4.5 and 9), the solid line marks the outer edge of the WFS beams, that is, it encloses the sensed part of the DM (dotted and solid lines computed for a LGS altitude of 90km, i.e. at zenith). These DMs are based on a piezo-stack technology (developed by CILAS). The DM electronics was made by Cambridge Innovations. 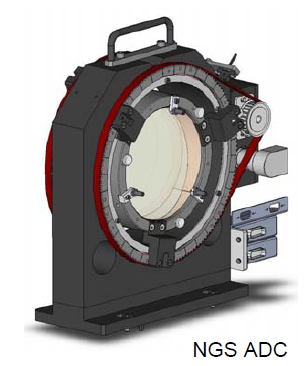 The Tip/Tilt Mirror Assembly is composed of a custom Tip/Tilt stage, a Silicon Carbide lightweighted mirror, a kinematic mounting interface for the Tip/Tilt Stage, and the assembly aluminum mount. 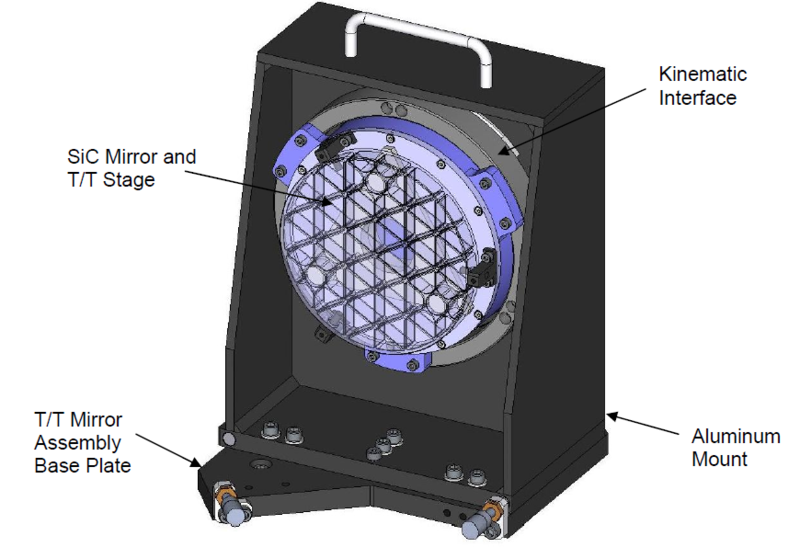 Our TT mirror is located just downstream from DM0, and has a stroke of +/- 1.4 arcsec, with a bandwidth of 400Hz. It's a Physik Instrument device. The science dichroic let the NIR through to the science instrument and reflects everything downward of 1 micron into the WFSs environment. The mechanism has 2 positions: the second dichroic has a cutoff at 850nm, to allow science at z band. At large zenith angle, a compensation for atmospheric refraction within the science instrument bandpass (for broadband filters) will be needed. This can be done via the science Atmospheric Dispersion Compensator (ADC). 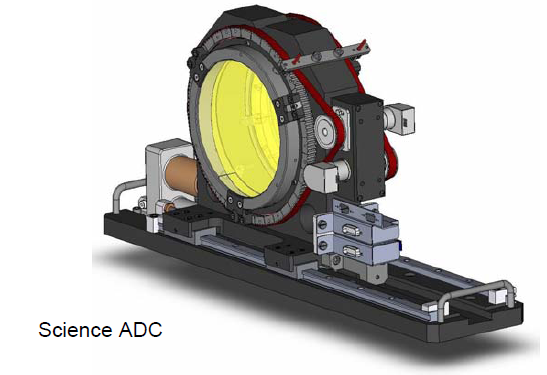 The Science ADC can be IN or OUT of the optical path. If it is not really required, it is recommended to leave it OUT, as it affects the transmission. Canopus modifies the entrance f/16 beam to a f/32.5 beam. It is a dichroic that reflects the 589nm light into the LGSWFS and let the rest of the visible light through into the TTWFS. These are EEV39 80x80. They are controlled by a SDSU controller (San Diego State University). 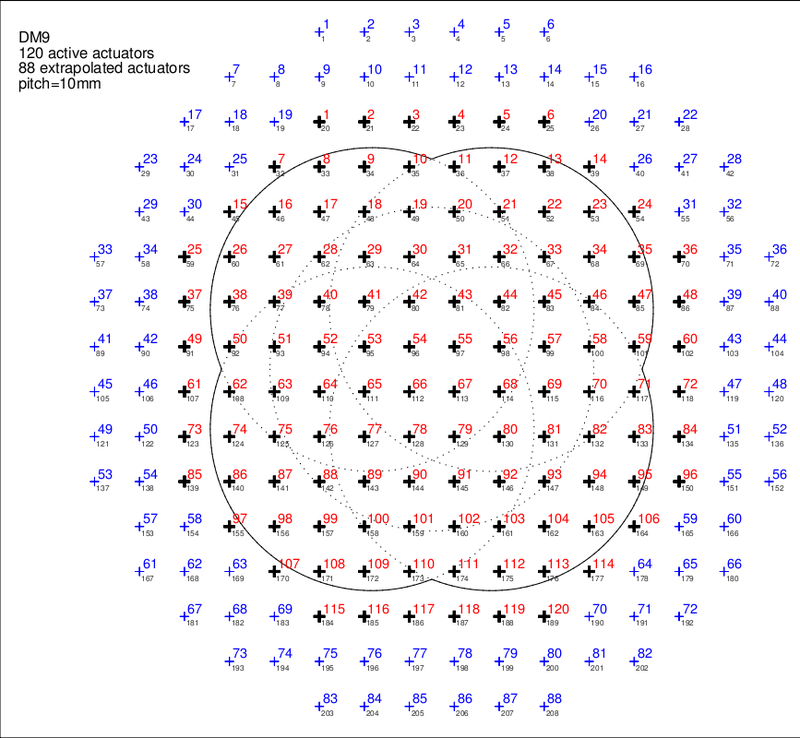 Each sub-aperture uses a quadcell, with 1.38arcsec/pixels (thus 2.76arcsec field of view). Keep the deformable mirror / lenslet registration error small. This is done by a combination of Look Up Tables (LUT) and active loop (see the SFS loop). This device includes three TTWFS, each one a quadcell detector using Avalanche Photodiodes (APDs). Each one can be moved into position using X and Y linear stages. To facilitate dithering and insure the relative positioning of each probe w.r.t the other ones, probe #1 and #2 are actually located on top of probe #3. Thus, to dither, we need to move only probe #3 (#1 and #2 will move with it). Probe 3 can span the whole 2 arcmin field. Probe 1 is limited to the top-part, and probe 2 to the bottom part. The Atmospheric refraction across the visible (400-1000nm) is quite large. Thus the star images formed on the apex of the TTWFS pyramid (quadcell) will be somewhat elongated when working at large zenith angles. The use of an ADC will compensate for this refraction-induced elongation and will increase the SNR on the TT WFS. 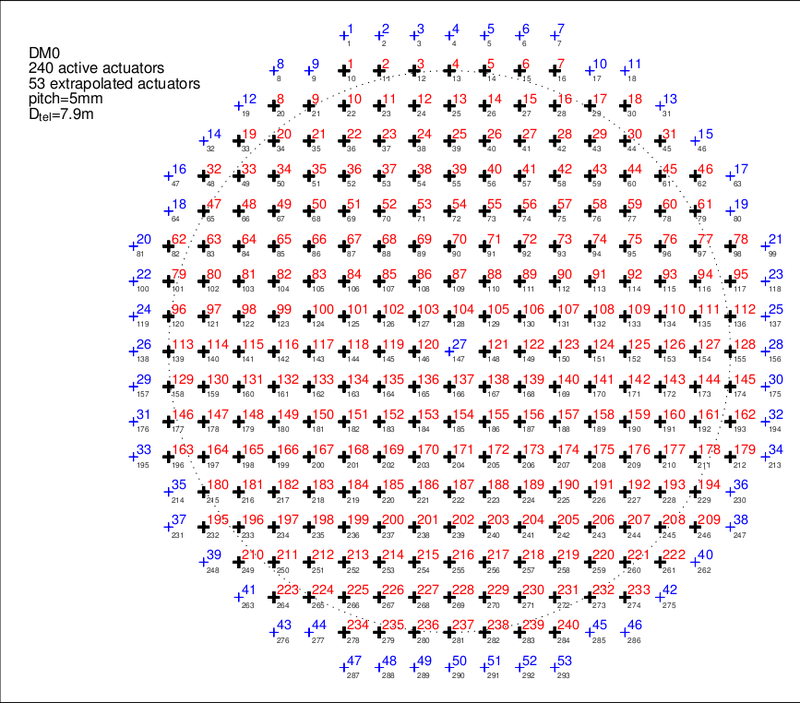 Each of the TT WFS is in fact a quadcell. It is made of a 4-faces-pyramid, which apex is located in the infinity focal plane. Each face reflects the light into a small doublet, that focuses it onto a fiber. 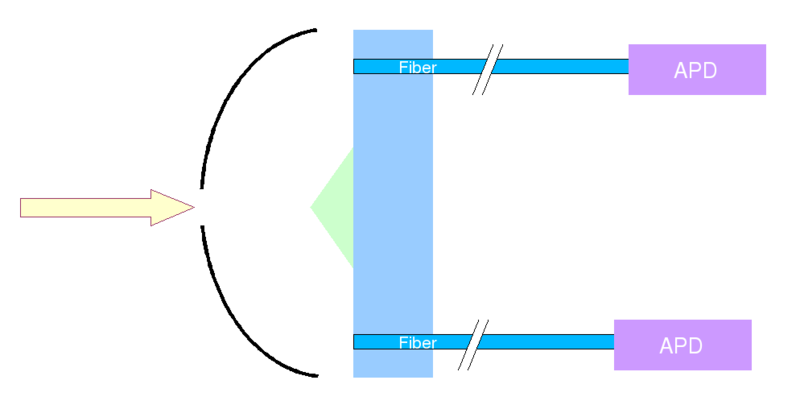 The light is transported through the fiber to the APD itself, located outside of the optical table. There are three TTWFS, each with four APDs, thus a total of 12 APDs. The APD does photon counting, and passes the counts to the RTC, at an adjustable rate (multiple of the LGS WFS sampling period, i.e. 800, 400, 200Hz if the LGS WFS works at 800Hz). Let's assume we start with everything in focus. The Sodium layer drifts by 200 meters up. This is seen by the LGS WFS. The system (DMs) compensate immediately for this defocus (normal close loop, using default control matrix). The NGS seen by the SFS will go out of focus (because this only corresponds to a sodium layer characteristics, and not a true defocus in the system, the NGS did not undergo any real defocus. However, it sees the defocus induced by the DM). The SFS will report a defocus. From this defocus, the system will drive the Zoom corrector. 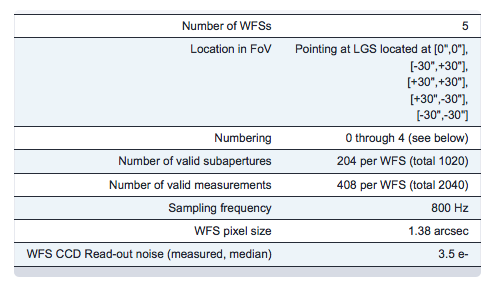 Because of the zoom corrector motion, the LGS WFS will see a defocus and will correct it. Assuming a proper calibration and sign, this will eventually converge and both the SFS and LGS WFS will be happy and with zero average focus.